Once in a blue moon, Knott’s Scary Farm in Buena Park, California, sees a Halloween Haunt maze that overcomes the usual two to four year lifespan that most attractions at the annual scare event last for. Such is the case of Slaughterhouse, a gory scream fest that was originally introduced to the Haunt line-up in 2008 by veteran designer Daniel Miller. Knott’s Scary Farm has seen many wild and unique themes come and go in the past 41 Halloween Haunts. However, never before has the Berry Farm in Buena Park known for its rich western heritage and style featured a ghost town-based maze for its annual scare event! It was something that Knott’s designers really felt should be done before anyone else opted to go for that theme, and so, the task was given to Gus Krueger (Endgames, The Witch’s Keep) to develop and design what would become Gunslinger’s Grave. 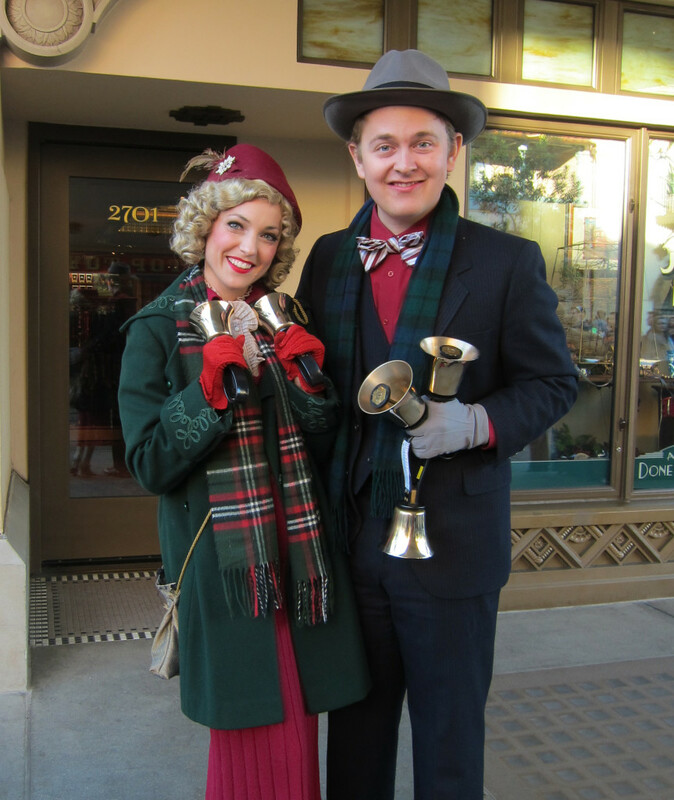 In keeping with the annual tradition of the Disneyland Resort, please enjoy caroling about the Resort’s community support during 2013 to the tune of “Silver Bells.” Happy holidays! It’s giving time in the city. Soon reaching troops far away. 2013 was one of the best Haunt seasons Knott’s Scary Farm has ever had. With a world-class design team and fearless leadership at the helm both in Buena Park as well as Ohio, the very evident push was made to raise the bar of quality and overall event excellence this year. One of the new mazes that was a huge hit with fans, and was Theme Park Adventure’s favorite Scary Farm attraction this year, was Black Magic. 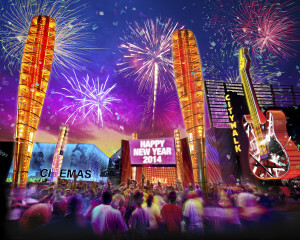 The countdown to 2014 begins at Universal CityWalk as The Entertainment Capital of L.A. ushers in the new year with Los Angeles’ biggest and most dynamic New Year’s Eve celebration featuring spectacular fireworks displays, thousands of pounds of confetti, and non-stop live concert and DJ performances throughout Universal CityWalk and Universal Studios Hollywood to welcome 2014.